It was the perfect way to end their athletic careers. 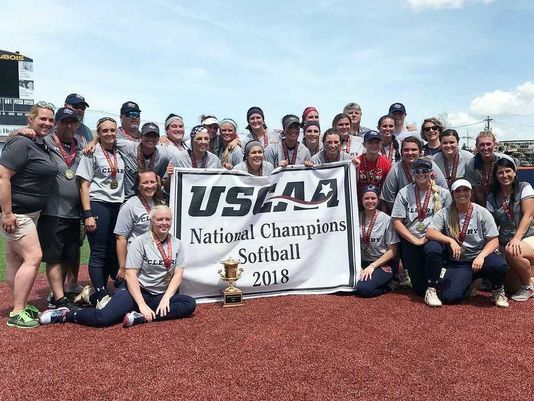 The Cleary University softball team recently traveled to DuBois, Pennsylvania, for the United States College Athletic Association national championships. Led by a couple of athletes from the Blue Water Area, Cleary captured its first softball championship in school history. Cleary University went 4-0 at the end to capture the national championship behind the dominant performance of Richmond High School graduate Riley Thompson, who was named Player of the Year. Woods, after getting another complete game from Thompson and a clutch two-run home run from Kaitlin Dormire. “The city was very excited to host the event and you could tell that it had brought some buzz to the area,” Hall said. “We had host families for each team and that was a lot of fun. The field was awesome. After starring at Northern and later playing at St. Clair County Community College for two seasons, Hall said winning the national championship was the perfect way for her to end her athletic career. Thompson also played at SC4 for a pair of seasons after departing Richmond. Contact Joseph Hayes at (810) 9896268 or at jahayes@gannett.com. Follow him on Twitter @Joseph_Hayes11.